"The SILK bicycle company had become quite famous after having produced all of the bikes for the Japanese Olympic racing teams in 1964." "The name "SILK" was derived from the former silk manufacturing factory building which the bicycle manufacturing company later occupied. Their racing style bikes were highly regarded by Keirin racers and were produced right along with the custom French touring style bikes." 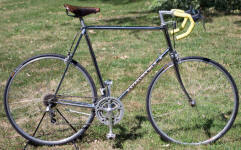 "But, SILK was not a pure "boutique" builder, it was truly a mass production bicycle company. 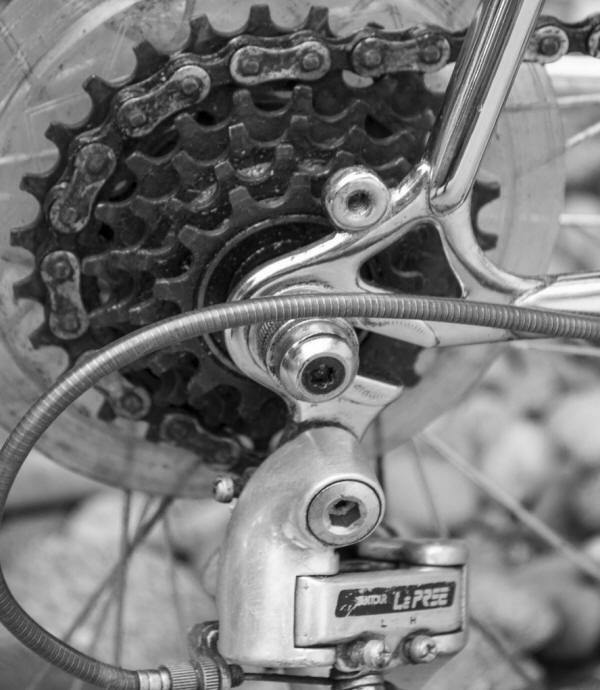 Someone compared their broad range of bikes to Raleigh (England) which manufactured everything from Professional racing bikes to children's bikes. SILK even produced a popular line of folding bicycles and later the company would manufacture Mountain bikes as well. By the early 2000s many of the new bikes offered were tig welded and featured the newer style threadless forks. However, the company still produced lines of more classic looking Track and Touring bikes as well." 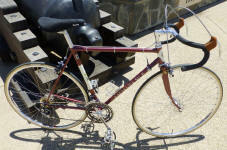 Do you have images of nice Katakura Silk bicycles in original finish?